Don Orsillo will be leaving NESN at the conclusion of the 2015 Red Sox season. The news came this morning from WEEI's Dennis and Callahan show after much speculation surrounding the long-time Red Sox play-by-play announcer. No official word has come from NESN, but rumors of Orsillo leaving NESN after the 2015 season are nothing new. 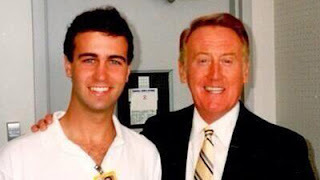 This will be Don Orsillo's final season on the Red Sox broadcast according to multiple sources.